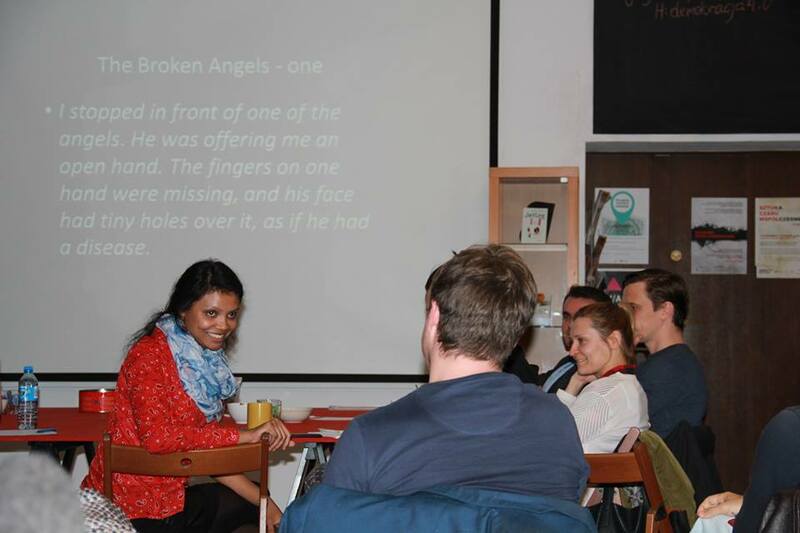 Past Monday 6th of October I attended a creative writing workshop in Gdansk, the city I live in. Although the workshop’s first aim was creative writing, the exposition and discussion was quiet focus on environmental issues, and the way we can write and persuade others about current environmental problems. It seemed to me more focused on literature-like writing, but some things are also applicable to research. Also, the truth is that in a hardly three hours workshop one can’t go a long way. However, I would like to point out a few things. First, always bear in mind who is your audience. It may be your friends, family, the ones that you want them to be proud of you. Although this is unlikely when talking about research writing. Or a more general audience. It’s important to have this clear even before starting to write. Last but not least, how to attract your audience?, the first paragraph is often crucial. Here, Tony spoke of the importance of addressing issues related to the emotions of our audience as a way to attract attention (Again, not applicable to research, to my way of thinking) This can become complicated when our audience is very diverse. What for some may be captivating, for others it’s simply irrelevant. At certain moment (when discussing on how to raise awareness on climate change) I suggested that we should try to make our audience see that their everyday life is somehow connected with environmental problems that are happening very far. Also (and I just come up with this idea) the more diverse is your audience, let’s say worldwide, the more you need to appeal those aspects and values that define human beings, i.e. those things that we all as humans share and have one unmistakable meaning as love, friendship, nostalgia, etc. Other interesting things that raised throughout the workshop were the need of having a solid structure of what we want to write as well as choosing the right moment on the day to do it. Maybe the very morning, during the night etc. Though here I’d like to warn that, according to my experience, the structure may quite change again and over again during the writing process. One inspiring writing technique that Tony suggested (rather non-research related): ask yourself: can I tell my whole life in three minutes?. The results of this exercise could give way to a great, touching and creative piece of writing. Seek and patiently observe, for example, a picture of your childhood that you think best defines who you are. 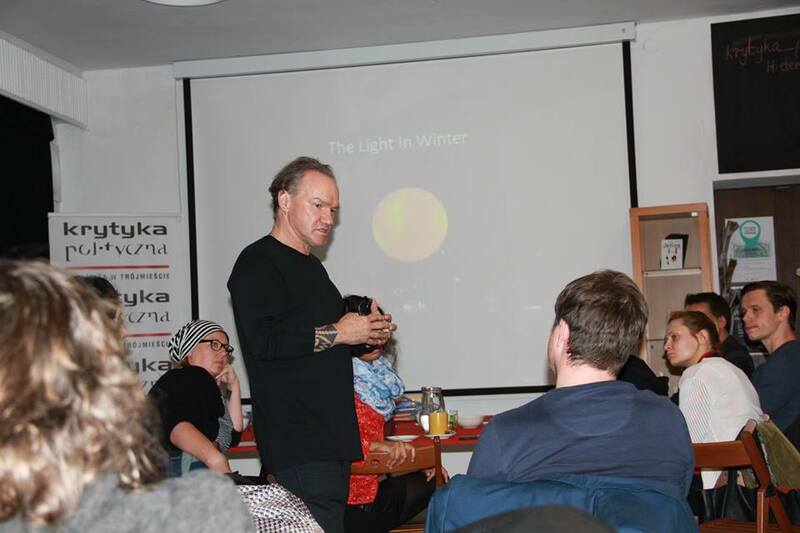 Creative writing workshop with Tony Birch, writer and lecturer born in Melbourne, an environmental activist. The workshop is a part of Weather Stations project (www.globalweatherstations.com) financially supported by EU Cultura Programme. * Kim jest Tony Birch? Tony Birch is the author of the acclaimed novel, Blood (UQP 2011), shortlisted for this year’s Miles Franklin Award. He has also published widely as a short fiction writer. Tony Birch was born in inner-city Melbourne to a large family of Aboriginal, West India and Irish descent. His challenging upbringing inspires much of his work. His stories have appeared in several ‘Best of …’ and anthologies, both within Australia and internationally. His previous books are Shadowboxing (Scribe 2006) and Father’s Day (Hunter 2009). Tony teaches in the Creative Writing program at Melbourne University, and also runs community writing event as part of the his outreach work. Both Shadowboxing and Father’s Day are taught in the Victorian Secondary School system and he regularly visits schools to both discuss his own work and run writing workshops.